Time to forget about the football and concentrate on the more exiting matter of transfer speculation. As the embers of the final week of Premier League action slowly die away we can soon move on in earnest to the more serious business of transfer speculation. From what was once a few column inches in the Sunday newspapers many years ago has blossomed into a major internet industry where news-feeds are full of more and more tempting and ambiguous transfer headlines designed to seduce the excited reader to click on through. The beauty of transfer speculation is that there is no pretence that it is anything other than fake news. The more incredible or ridiculous the rumour the better, and the more it will be replicated and will spawn supplementary debate. Whole football forums will go into meltdown berating owners and managers alike for the lack of ambition that pursuing this made up, imaginary target demonstrates. The situation in the West Ham transfer war-room must be a strange one given that a large part of the deadwood that we have is made up of very recent purchases. A clear-out and upgrade is essential if this seasons struggles are not to be repeated and while it would not be difficult to find better players it will be more a challenge to identify those who can become useful players in a side for the future. My fear is that we will settle for those deemed good enough on past reputation rather than seeking out players to form individual parts of a grand design. Without any particular defined style of play how on earth do you identify he players to fill it? Meanwhile the owners will no doubt be giving it large and banding about names of exotic goal-machine targets who are usually well out of our current lower table league. I’m sure that even our owners don’t believe such boasts sells season tickets; it merely serves to lower their credibility. I don’t often agree with (or understand) much of what Jamie Carragher says but his comment that “average players will think ‘I could talk myself into a move to West Ham'” has the whiff of truth about it. This also applies to players looking for that one final payday. In my view signing any player who would be over 32 or 33 at the end of their contract should only happen in very exceptional circumstances. It is not the future unless your horizon is only 12 months. 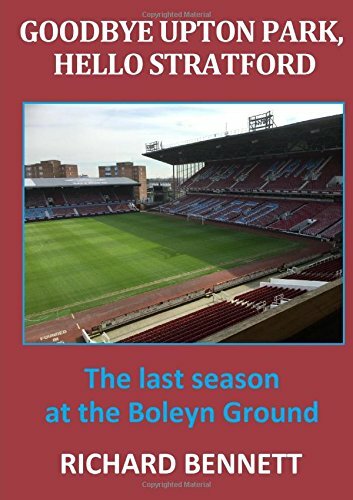 I read a report in the week that excitedly suggested West Ham would be looking forward to receiving a windfall payment based on their likely final league position. It seems a bit of a stretch to term this a windfall when it is well known to all how the Premier League prize money is allocated. I imagine that if anyone at the club had prepared financial forecasts at the start of the season they would have budgeted for several millions more than we will actually receive. We will now finish somewhere between 11th and 16th in the table; my bet would be as low as 14th or 15th. With just shy of £2 million for each position that equates to some £12 to £14 million less than what might have reasonably been anticipated when we kicked off in August. I have no knowledge whether player’s contracts have any clauses related to league position but I don’t expect our boys to be busting any guts up at Burnley at the weekend. Scanning through the news-feeds during the week there were an equal number of contradicting headlines indicating that either ‘Wenger refuses to criticise West Ham’s performance’ or ‘Wenger rips into Hammer’s Holiday mood’. Either way we are left with Arsenal’s remote pursuit of their customary Champion’s League place as the only almost interesting unresolved matter for the final weekend. Leaving aside the delights of a boozy afternoon out with your mates I wonder how many will bother to turn out for Super Snoozeday?